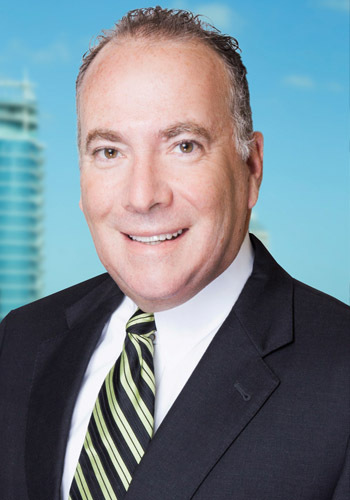 Roy Kobert - Mediator based in Orlando, Florida. Please click your preferred available date to submit a request. Your Appointment Form will be sent to Roy's assistant, Andrea Taylor. Roy has represented secured creditors, indenture trustees and creditor committees throughout the country. Additionally, he has been involved in various niche issues within the bankruptcy practice: involuntary bankruptcy prosecution, cross border insolvency litigation, prosecution/defense of fraudulent transfer and preference litigation, cram down defense and Assignment for Benefit of Creditors (ABC) litigation and niche issues outside the bankruptcy arena including: contested domestication of foreign judgments; SWAP agreement litigation and Article 9 priority prosecution. After 30 years of practicing law, Roy has been repeatedly called upon over the last decade to serve as a designated neutral in a myriad of substantive cases. Board certified for over 15 years, he is a recognized expert in all facets of bankruptcy matters (drafting of consensual Chapter 11 plans of reorganization, pre-suit and pending adversary proceedings involving avoidable preferences and fraudulent transfer litigation, fraud in the inducement, and claims objections), as well as a broad range of civil and commercial disputes (breach of contract, noncompete agreements, and restrictive covenants, partnership disputes, banking and Article 9, eminent domain, valuation disputes, business dissolution, landlord/tenant disputes and foreclosure/lien contests).